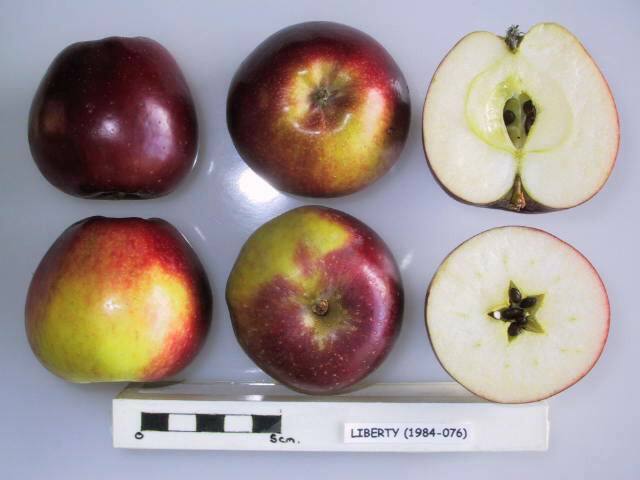 Raised at the New York State Agricultural Experimental Station, Geneva, New York, U.S.A. It was introduced in 1978. Fruits have crisp, juicy, slightly coarse textured flesh with a good flavour. Trees are resistant to scab, cedar apple rust, fireblight and powdery mildew.